Feeding the hungry, donating presents to the poor, and performing errands for the elderly are all ways that people can donate time towards the community. • Plant trees or wildflowers. • Plant produce. Donate the harvest to a local food bank. • Plant seeds. Sell the flowers or plants and donate the proceeds to a local organization in need. • Pick up litter at a park. • Put on a play at your school, a fair or festival about local environmental or human needs issues. • Collect items for a time capsule. • Make treats for a local senior home. • Improve the school grounds. 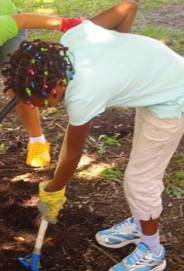 • Develop and maintain a recycling program at school. • Collect food, warm clothing, toys, or personal care items for the needy. Deliver to shelters. Remember shelters are in need of supplies all year long! • Hold a Teddy Bear and Friends (Stuffed Animals) Drive. Donate the collected animals to a Homeless Shelter for new arrivals. Also…check with your local police station or fire station. Many are happy to take Teddy and Friends; a teddy bear can be a comfort to children in times of distress. •Collect unused make-up, perfume and other cosmetics for a center for abused women. •Make center pieces, holiday cards, birthday cards, and notes for assisted living facilities, children hospital wards, or meals on wheels. •Donate old eye glasses to an organization or place that recycles them for the needy. •Collect old stuffed animals and dolls, clean them up, repair and then donate them. •Collect old clothes and donate them for a dress-up area at a daycare or family shelter. •Make a holiday basket for someone in need or crisis. •Write letters to service men/women. •Put together a care-package for service men/women. •Form a litter patrol on school or park ground. •In December contact a tree farm or nursery about donating a Christmas tree to a needy family, shelter or nursing home. • Have kids practice reading a book and read it to a younger child who needs help learning how to read; a senior citizen who will benefit from companionship or a child in a special needs classroom in your school who is learning to read. • Make a book on tape to contribute a local daycare center–or pediatric patients. • Have youth read a book that will teach them how to do something to help others and then do it! 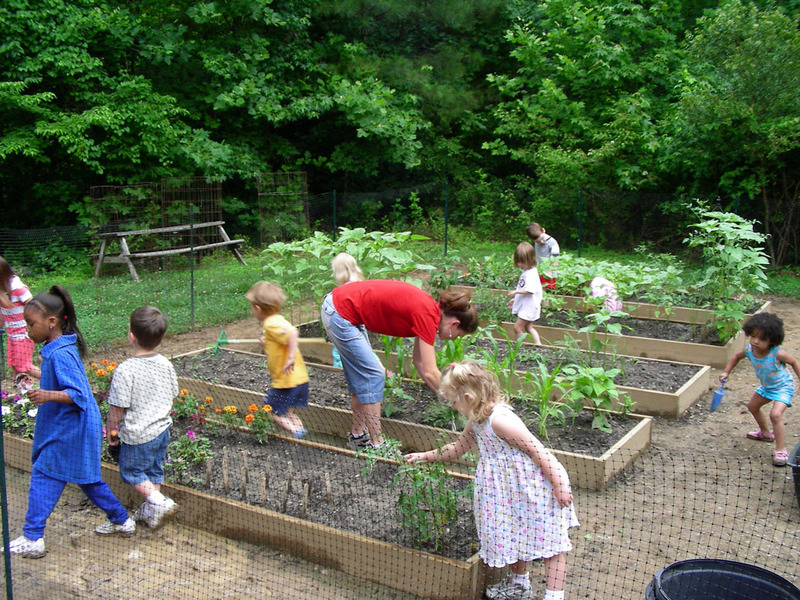 Examples: building a birdhouse, making toys for animals at the animal shelter, or planting a garden). • Read a newspaper to an elderly person who can no longer read the small print. Adapted from Rahima Wade, service-learning instructor at the University of Iowa. ♥ Establish a PEN PAL PROJECT with senior citizens in a nursing home; children in a local hospital, or children in another country. ♥ Hold a USED BOOK SALE after school, or on an evening or Saturday at the school or the local library. Publicize the event to the school and local community. Donate collected funds to to a worthy cause. ♥ A book drive can also be organized to collect new— and excellent condition used books– FOR CHILDREN WHO DO NOT HAVE ACCESS to many books (poverty or disaster areas in the U.S., other countries, a local Head Start or homeless shelter). PUT TOGETHER PACKAGES FOR A CHILDREN’S HOSPITAL! 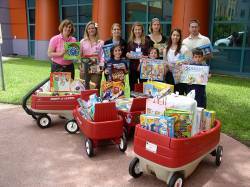 •Lullaby music, sing-a-long music (Raffi, Wee Sing, Pooh Corner, Spanish language, “Transitions” by Placenta Music, Inc.
8 yr old triplets, Carly, Brian and Kailee delivered 5 wagons of toys and gift cards to Miami Children’s Hospital on June 3, 2009. The toy drive was organized by young Kailee and her 2nd grade class at American Heritage School in Delray and through community sponsors. …..Kids love fun Band-Aids! Any kind of fun bandage is fine, but Band-Aid, Curad and Nexcare are some of the best. Current favorites are Scooby Doo, Sponge Bob, Dora the Explorer, Spiderman, and Batman. Latex-free Band-Aids are helpful. ♥ Make Handmade Blankets for Hospitals – various sizes for infants, children and teens – fleece blankets preferred. …..Kids in the hospital use lots of art supplies! Children use Crayola crayons (small packs of 4 or 8 crayons work best), Crayola markers (bold, thin, washable, Color Wonder), Crayola colored pencils and construction paper. All supplies must be new. ALEX’S LEMONADE STAND: FIGHTING CHILDHOOD CANCER ONE CUP AT A TIME! This is something to share with parents, childcare providers,and educators! Alex passed away from Cancer at the age of eight–however share her vision and give children the opportunity to engage in hosting an Alex’s Lemonade Stand event. This is a project that kids, parents and educators can register on their own and receive resources and materials for the event. The Alex’s Lemonade Stand Foundation has raised over $50 million dollars since Alex’s initial stand– much of this money comes from kids who hold stands in her honor. More information can be found on the homepage, or specifically for children on the Kid’s Corner page. 1. Collect and donate items on animal organizations’ wish lists: Example: Paper towels, dried dog food, milk substitute, portable cages, blankets and towels, cleansers, and food bowls. 2. Raise money for homeless pets or sick, injured, and orphaned wildlife– by collecting coins. 3. Sponsor a walk-athon, bowl-athon, read-athon, etc. backed by pledges. Donate to local shelters or animal organizations. • Offer to wash a neighbor’s dog. 5. HELP THE PLIGHT OF ASIAN ‘MOON’ BEARS! For ideas visit the Kids’ Page at AnimalsAsia…Animal Asia has extensive list ideas for children and teachers. 6. ADOPT A BEAR or lion, tiger, whale, or other animal. Many zoos, aquariums, and animal sea habitats have adoption programs. In exchange for financial support, you often get a photo and biography of your new adoptee. 7. ADOPT A POLAR BEAR, PANDA or one of many other animals. Instead of bringing a present to the party, ask your guests to bring a bag of dog food, cat food, treats or pet toys. Head out to your local animal shelter (make sure to call ahead first and set up a good time!) and give the food, treats and toys to the shelter. Some shelters will let older kids walk and feed the dogs/cats, clean out cages and bathe the animals. Make sure to meet with the shelter management before you go so they will be expecting you. ♥ Pet Therapy is a great project for brightening the day of nursing home residents who may not get much company. Set up a visit with your local nursing home and simply take your pets along for the residents to enjoy. It offers them some great company and a cuddly, affectionate cat, dog or other friendly animal to pet. Visit a retirement /assisted living home and have senior citizens teach the kids card games! Maybe the children can also teach them a game or two! Ideas: Black Jack, gin rummy, Hearts, Double Solitaire, Poker, etc. There is a difference in the games that our senior generation has played compared to the youth of today! Our kids can learm marbles, jacks, hop-scotch, cat-in-the cradle, etc…Bringing cookies or some other snack that the kids have made, would be an extra treat to share! ♥ Visit an assisted Living home and play the above card or board games, perform a skit or sing some songs. This can be arranged for an evening or week-end visit. ♥ Explore history and spend time with an assisted facility resident and interview them about how they grew up. Does your program have a SWAT TEAM? SWAT stands for Students Who Assist Teachers. SWAT members help students, staff, and parents before and after school and during special events. These students receive training in matters such as courteous greetings, assisting others, and maintaining a safe environment. One school (Deer Park Elementary in Texas) believes this is instrumental in helping promote an atmosphere that is orderly and friendly in their school. This is different than the school safety team. SWAT is something your program could provide and then have members offer their services for school functions. They decided that they wanted to thank the custodians, because they saw that they had a “messy” job to clean up the lunchroom everyday, and they thought that was hard work. ♥ They took digital photographs of all the custodians, then made thank you posters that were put in the lunchroom and hallways. The students then decided to do the same for the secretary and office staff. First, make appointments with the custodians to learn about them and their jobs. ♥ Start a kids club through Points of Life foundation: Kids Care Week is celebrated the third week of October. This is a club where groups of young people work together to help others in their community and around the world. In the U. S. there are 1800 registered clubs. Each child is asked to bring 100 pennies that they harvest up from the loose change at home. • Students estimate how much 100 pennies would weigh. • How high they can stack 100 pennies. • How many pennies it would take to outline a child. • What the grand total amount would be of the pennies. • Find your birth year on a penny. When done with the activities, donate ALL the pennies the students collected to a local charity. From Pencil Project Website: We are always looking for individuals, families, school, church or community minded groups to get involved. We match you up with a needy school that will benefit directly from the pencils you collect. We generally like to deal with one contact person/coordinator and will be responsible for getting you all the information that you need. You are responsible for setting your own goals and the time frame in which you will complete them. If you are a school/orphanage in need of pencils, please send us your school name, address, contact person and estimated number of students. We will be happy to connect you with a group that is eager to help you! OLD SHOES: Put out notices and containers—and start collecting!!! Ever thrown out a pair of worn-out athletic shoes? Did you know that IT TAKES ABOUT 1,000 YEARS for those sneakers to biodegrade? Wondering what to do with the ones you’ve already got? RECYCLE THEM. Every year, millions of pairs of athletic shoes are thrown away, not only wasting landfill space, but wasting tons of reusable material. Since 1993 Nike has been running a program called Reuse-a-Shoe. So far they’ve used 24 million pairs of athletic shoes to create sports surfaces. It’s part of the “Let Me Play” campaign, one of Nike’s longest-running environmental and community programs, where worn-out athletic shoes of any brand are collected, processed and recycled into material USED IN SPORT SURFACES like basketball courts, tennis courts, athletic fields, running tracks and playgrounds for young people around the world. Remember Service men and women ALL YEAR LONG—not just before the holidays! There are three pages of suggestions for care packages at the adopt a platoon website. TWENTY GRAINS OF RICE—World Food Hunger Program Using the internet children can donate 20 grains of rice to the WORLD FOOD HUNGER PROGRAM! If your program has access to a computer and the Internet, introduce the children to the idea. This Web site offers an English multiple-choice vocabulary test. For each word defined correctly, 20 grains of rice are donated through the United Nations World Food Program to help end hunger.To date–over 66 Billion grains have been donated!!!! 1. Borrow. Contact a local grocery store that uses large paper grocery bags. See if the manager will let you “borrow” enough bags so that each student in your school can decorate one. Let the manager know about the project and its environmental education message, of course! Grocers usually get these bags in “bundles” of 500. 3. Deliver. A couple of days before Earth Day you and/or your students return the decorated bags to the grocery store – with many thanks to the manager! The store then distributes these bags (full of groceries) to happy and amazed shoppers on Earth Day. You do not need to sign up or register, just have a great time with the project! For more information, check the FAQ (Frequently Asked Questions). Another Idea: If you can’t use paper bags, you can have students decorate individual fliers, or even bookmarks, which can be handed out to shoppers or inserted in their shopping bags. These will be counted in the project tally, so do send in your report! This is a great idea, even if you do it on your own! • Ride a bike or walk to school. • Use last year’s school supplies. • Buy a canvas and cardboard binders instead of plastic. • Use reusable water bottles instead of plastic. • Use a lunch box, not paper bags. • Donate last year’s clothes instead of throwing them away. • Buy online to avoid driving. • Turn your computer off when you’re not using it. • Make your own bookmarks. • Organize a clothes swap with your friends. • Use refillable pens and pencils. • Reuse your backpack. Decorate it with cool patches. Collect pennies and then provide popsicles for a kids’ homeless shelter. They’ll love it! One program collected 19,447 pennies. A lot of popsicles! MAKE WARM SCARVES: This is a craft that requires only the fleece fabric & a good pair of scissors! 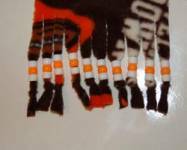 Make warm scarves by buying lengths of micro-fleece and simply cutting them into strips. The end is then cut into fringe. The fleece does NOT unravel so does not need any sewing. If you decide to participate in buying HOLIDAY PRESENTS for someone less fortunate, let children decide what to buy. Set a dollar limit, so it is a good challenge for your children to use the money wisely. Whatever ‘giving-back’ path you decide, adults also should be committed to serving others and willing to work alongside youth. This sends the message that adults are not only encouraging, but are proud to support the same charities kids believe in. Focus on reinforcing a child’s compassion for others is a key to helping them become caring adults. Students at Granger Elementary in Medina, Ohio, made the holidays brighter for patients at Akron Children’s Hospital. For the PTO’s Giving in Granger service project, Pre-K through 5th graders donated more than 200 new teddy bears and other stuffed animals last December. Cards handmade by students at the PTO’s Santa Shop were attached to each toy. IN DECEMBER…contact a tree farm or nursery about donating a Christmas tree to a needy family, shelter or nursing home.